Neural was conceived by the sought-after experimental art photographer, Luke Evans. He photographed slices of cow brain tissue under a ultra-high resolution microscope, then enhanced them using film grain. 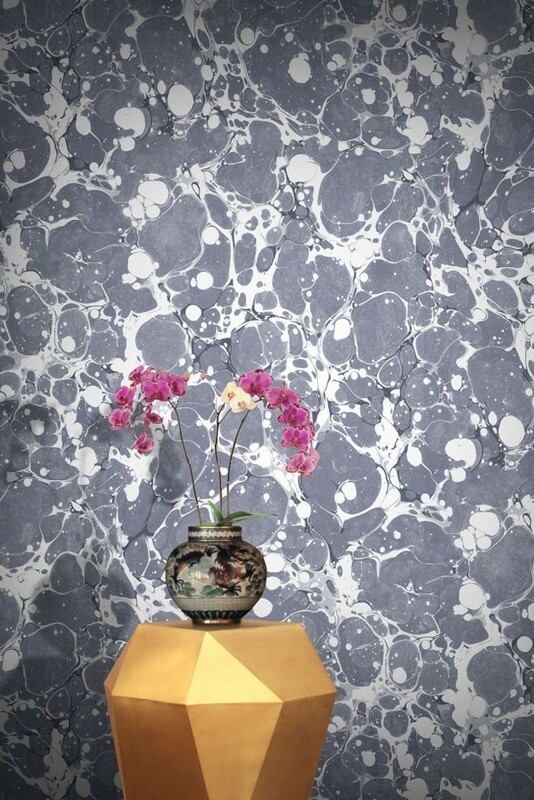 A stunning marbled wallcovering that tells an intriguing story. This wall paper is digitally printed with the most environmentally friendly inks (UL ECOLOGO®, UL GREENGUARD GOLD Certified).